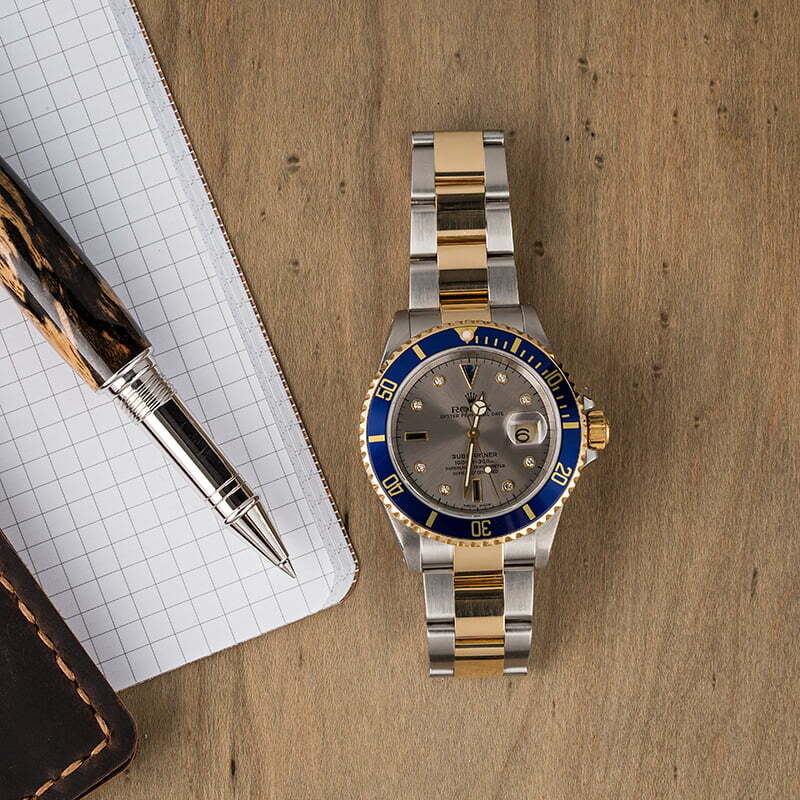 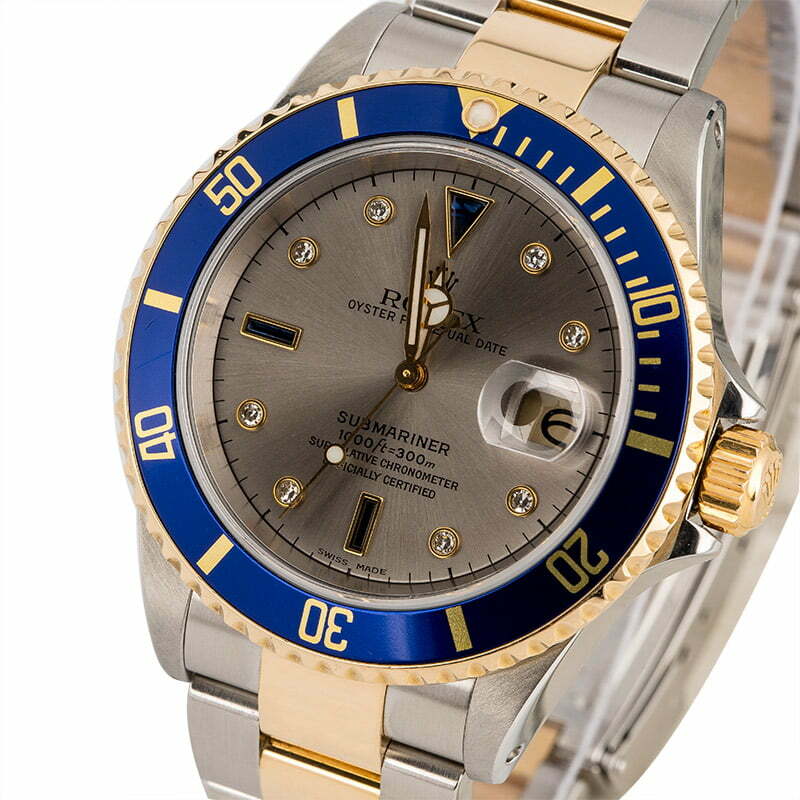 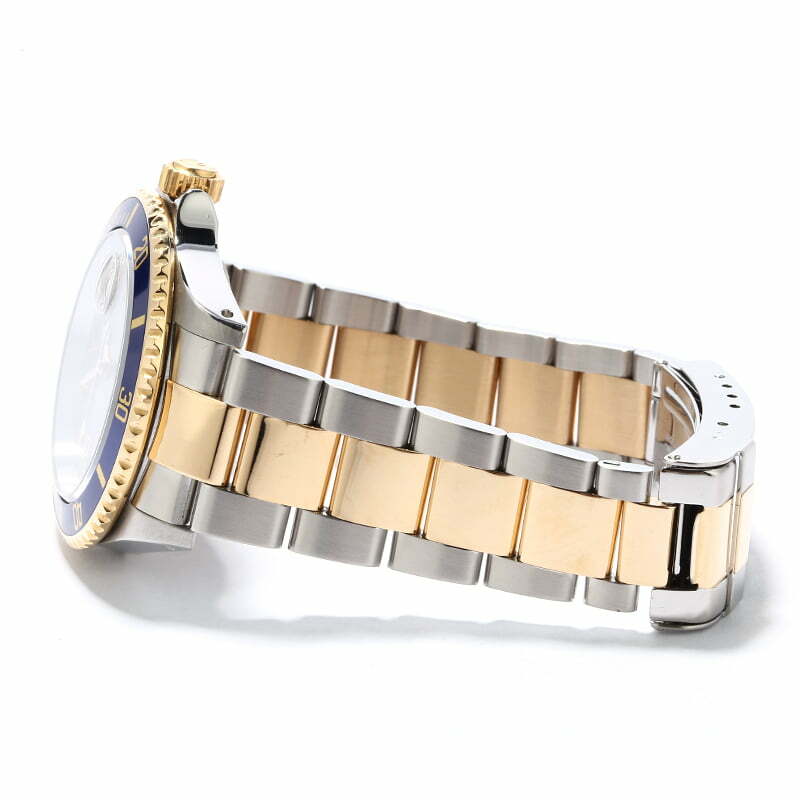 The steel and gold Rolex Submariner Date 16613 came to market in the early 1980's and was one of the first references to come in a two-tone finish. 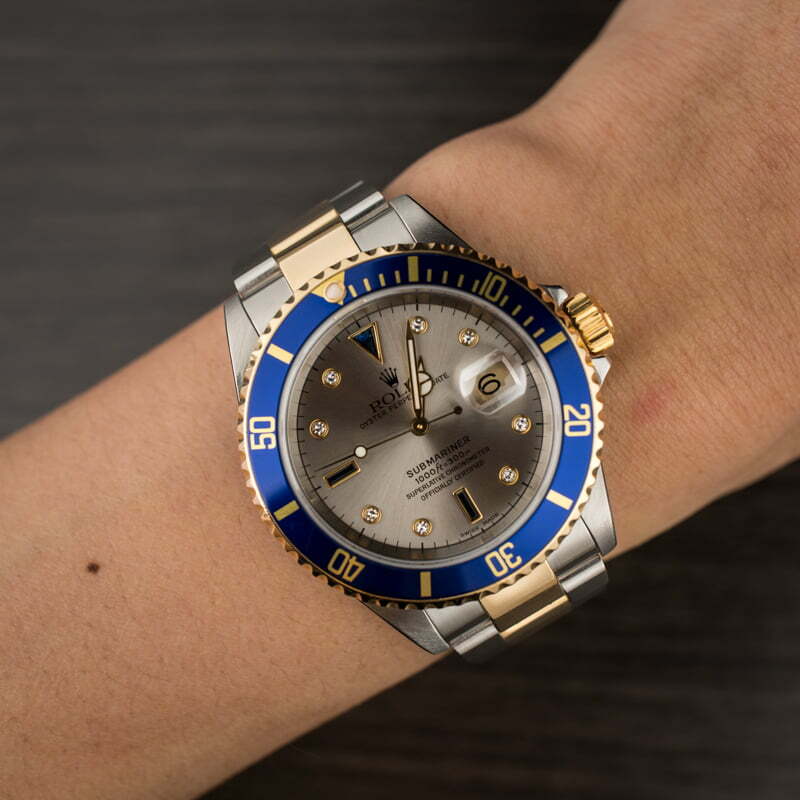 Many collectors seek this variation of the brand's iconic diver for its versatile style and affordable pre-owned Rolex Submariner price. 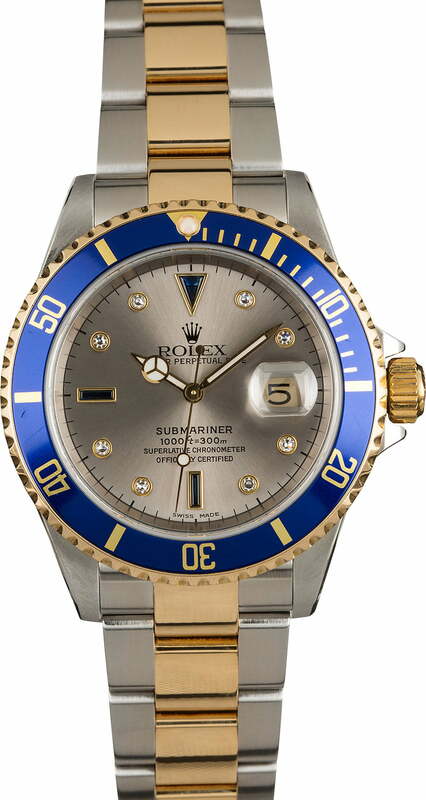 This reference also boasts a notable silver "Serti" dial, which is characterized by diamond and sapphire crystals in yellow gold surrounds. 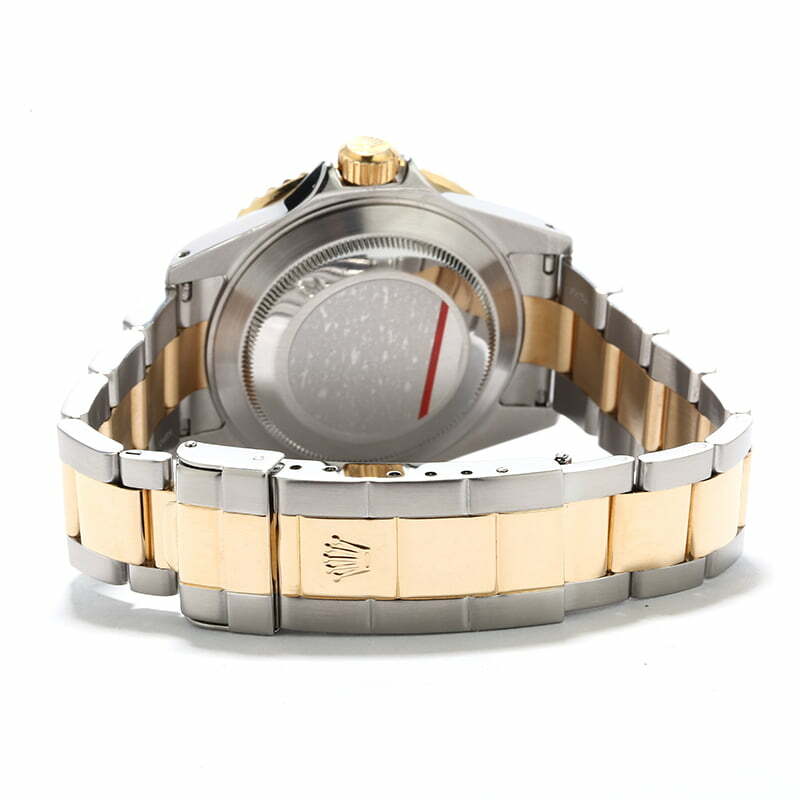 French for "setting", the nickname Serti refers directly to the act of setting the hour markers into the yellow gold surrounds on the dial. 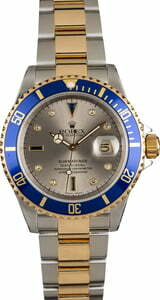 This desirable variation of the two-tone Sub will quickly become the crowning jewel of your watch collection.